Remove from food processor. Roll mixture into ball. Roll ball in salted nuts. 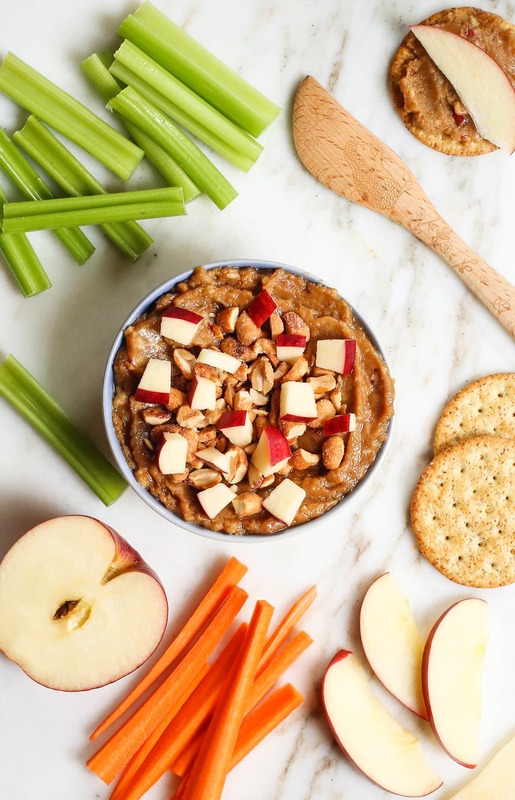 Serve with apple slices, carrots, celery or crackers (just like you would a cheese ball! ).